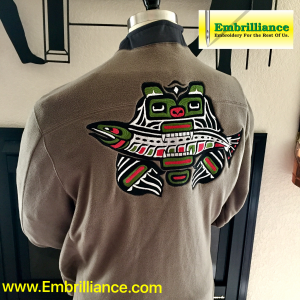 On display in the Embrilliance booth at SewExpo in Puyallup, WA, we had this gorgeous embroidery of a Northwest bear done by our own Jim Kassing! 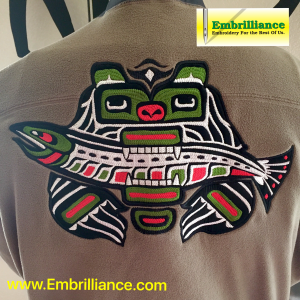 It was digitized in StitchArtist and the texture of the stitches compliments the art style of this design. It’s always important to keep the size of the final stitched project in mind when you are digitizing. It can be a tricky thing to balance but it helps to work it out during the planning process. 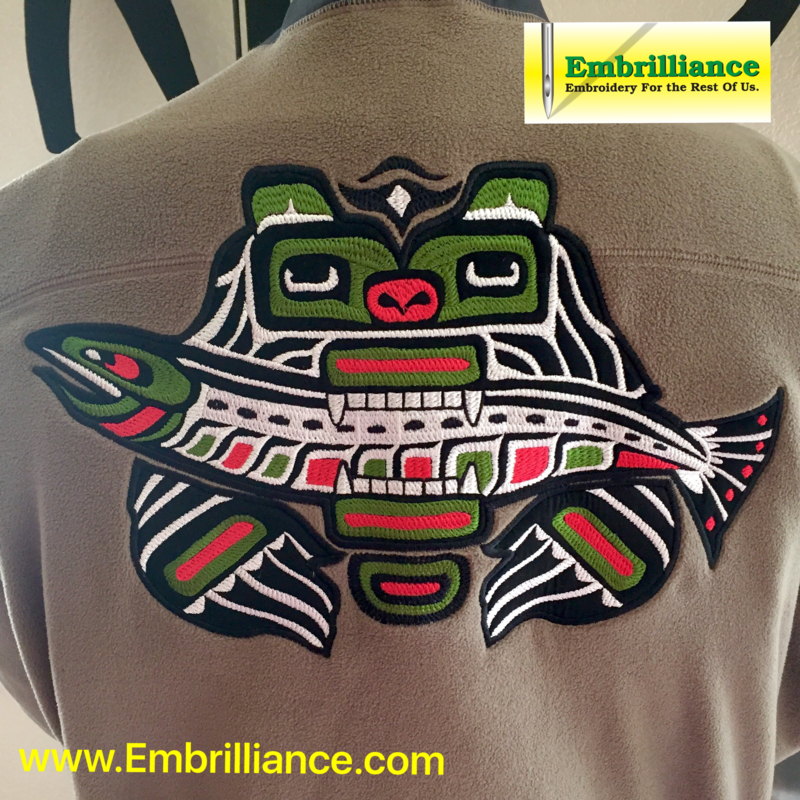 As a jacket back design, the base black part of the art was created as an applique. 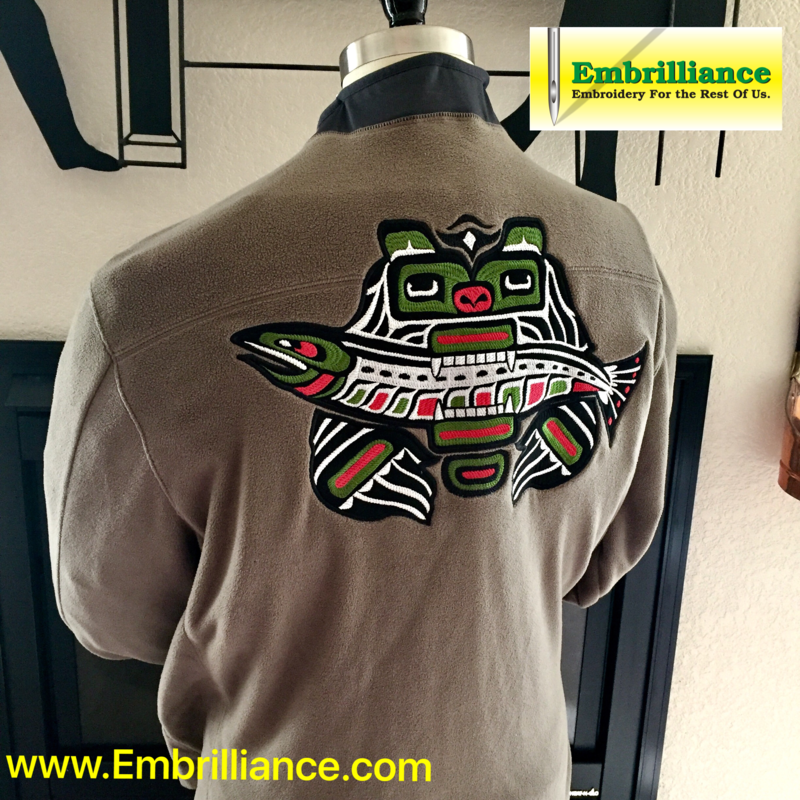 By using a woven fabric on the fleece not only did this allow for less stitches, but also added to the stability of the overall design. 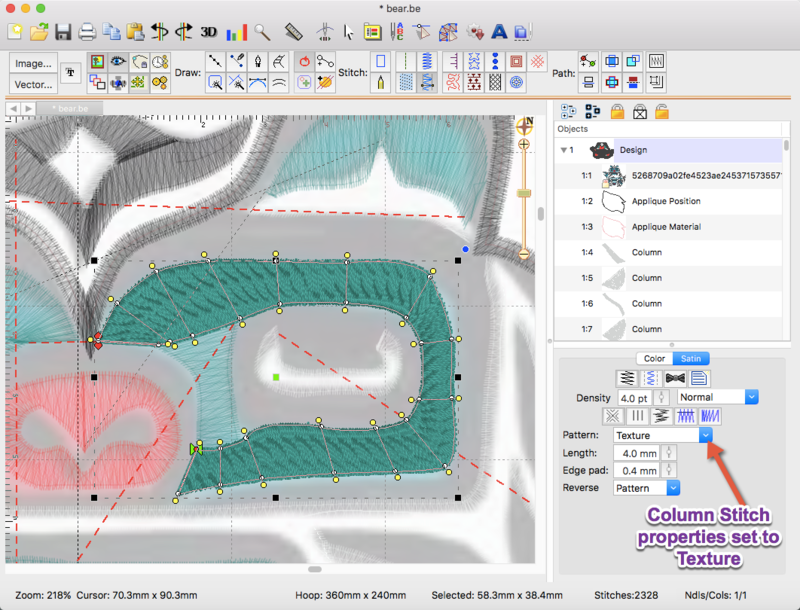 Here you can see how the column stitch properties look in the software – playing with the settings and fills allows you to get different textures in your stitches. This design can be downloaded from the Embrilliance User’s Forum in the BE format. Please note that it was digitized for the 8×12 hoop so the details and other stitch properties in this design were set for a specific project. Posted 2 years, 1 month ago at 11:36 am. "I love my program and it brings up all the designs I have purchased. Can I be appointed an Embrilliance Ambassador? I"ll wear a tee shirt on my quilt runs!"